Do you have a last minute summer soiree on the horizon (or maybe your first of the warmer seasons if you're Down Under)? 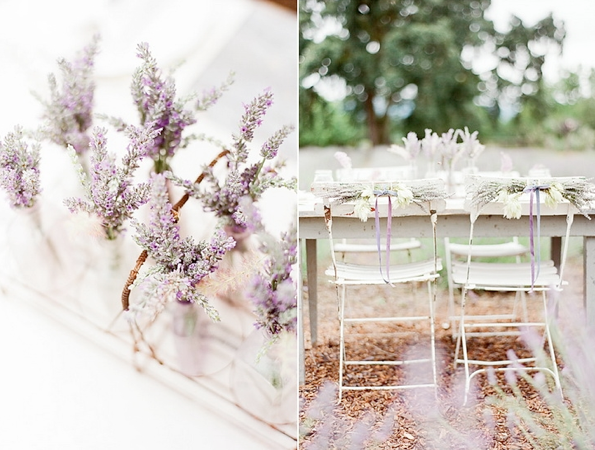 I fell for this rustic yet delicate tablescape the moment I saw it, the soft linens, textured, weathered table and fragrant lavender seems such a winning combination. 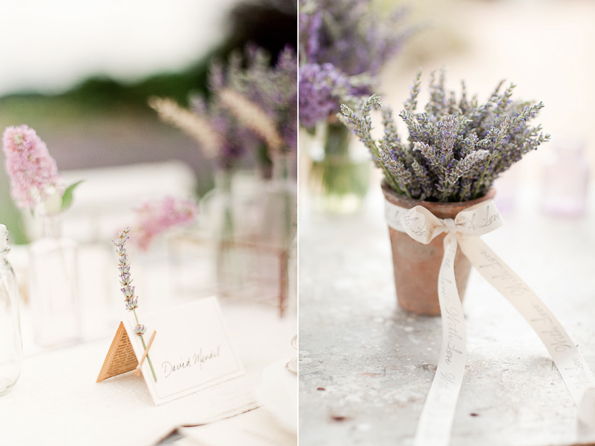 The table is set with little details in mind, from springs of lavender on the place cards to little flags placed amongst the posies of blooms that run along the centre of the table. 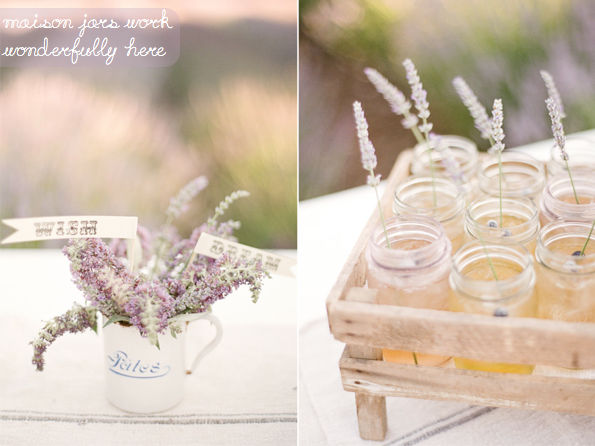 The attention to detail continues around the table, too, with a charming drinks and favour bar, which gives guests a scented lavender bag to take away. Let's be honest though, folks, it would be hard to not want to take it all home! 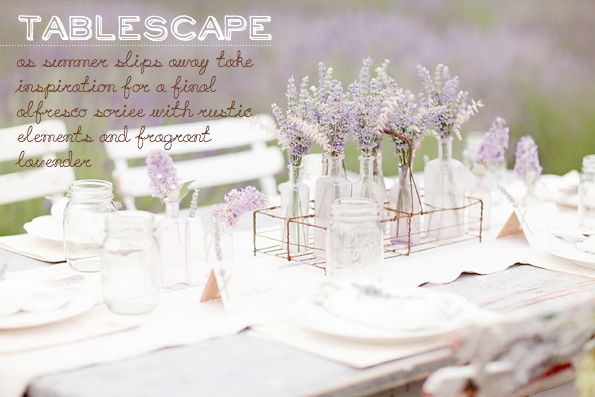 I love how all the attention is on just the lavender- the other decor is either in neutral tone or is transparent. Brilliant! Love this! 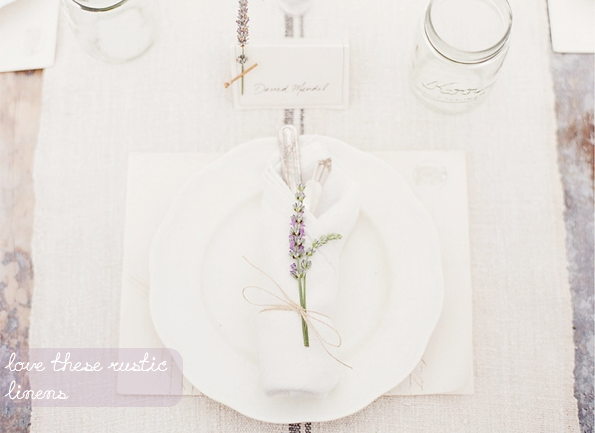 Such a pretty tablescape! EEEEEEEEEEEEEE!!!! I love this Will! And you are making me glad for warmer weather coming our way in Sydney. 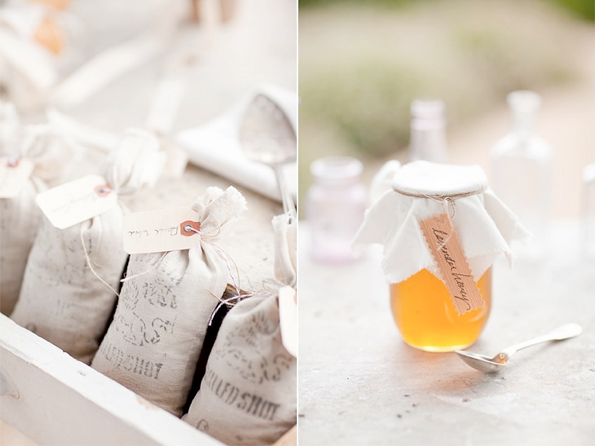 This is totally stunning - especially loving the scented lavender bags to take home! Fab styling! oh my! this is the prettiest tablescape I've seen in a while! 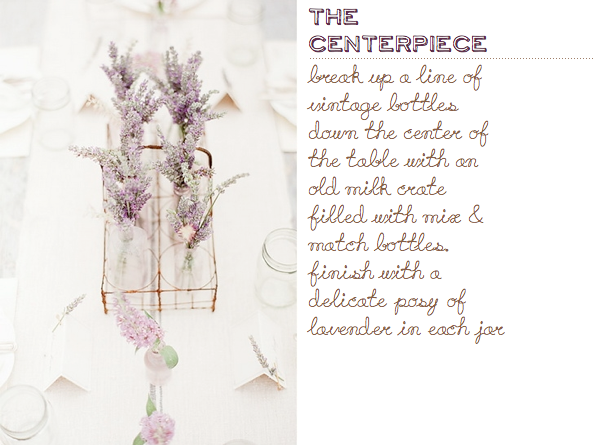 This tablescape is breathtaking! Brings so much inspiration. Love these images. How they capture end of summer ease. Must make the most of these last weeks! Thanks for the encouragement! Am now back in our virtual wonderland after what feels like forever trying to get the kidlets to settle after the move. Loving this soothing simplicity. I can almost smell the lavender and honey.. 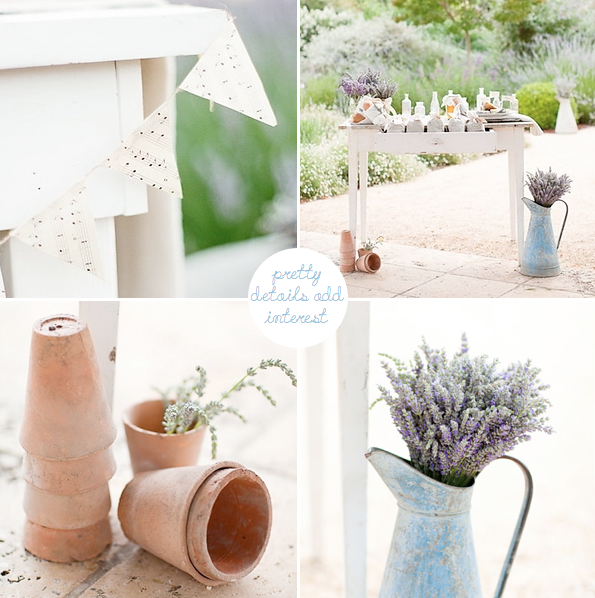 Hints of Provence and lovely lovely ideas to steal.